The Italian Three Ring Rapier by Arms and Armor is a pretty typical example of what to expect from this fine company. 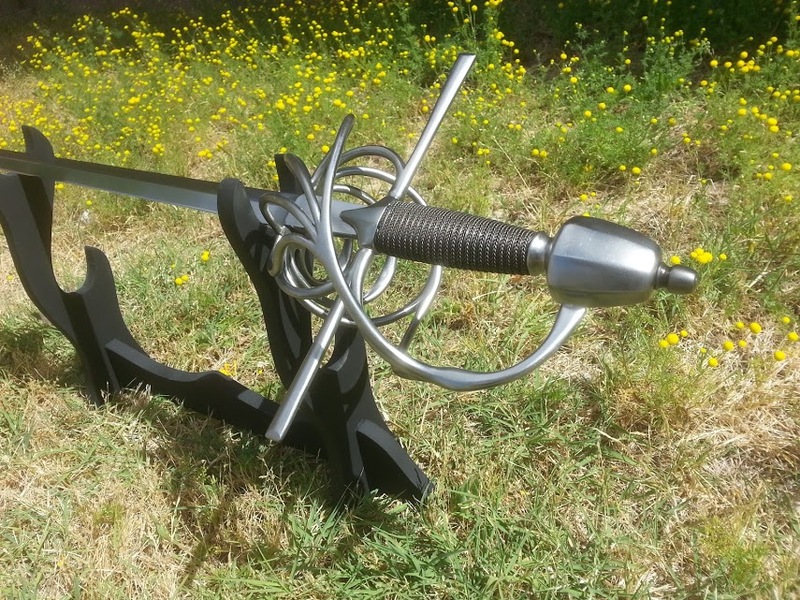 In this hands on review we take a look at it from two different perspectives, one of a true Renaissance sword die hard who actually trains in rapier, and the other from a respected SBG member who attempts to see if a rapier can actually cut a tatami mat..! I've owned quite a few Arms and Armor pieces over the years, especially rapiers. 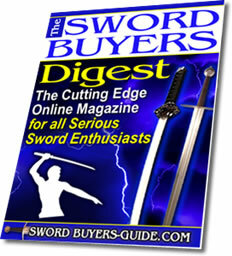 No one else in the production field matches the quality of A&As rapiers. Unless a custom piece is desired there's really no reason to look any further. 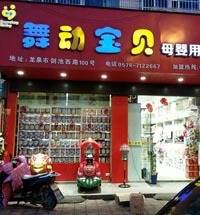 Incidentally, the companies custom work is also one of their true strong points and one often overlooked by many. For my next one I chose A&As Italian Three Ring Rapier, but with a slight alteration. I asked Craig Johnson to mount the sword with the wider blade of their Two Ring Rapier. 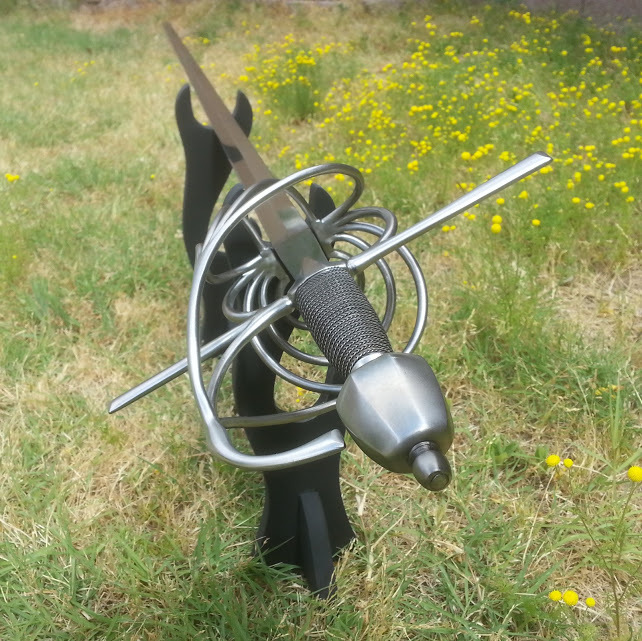 Many modern rapiers feature blades just a bit shorter than they should be so I wanted something a bit longer, as well as a bit wider than the Three Rings standard blade. A shorter blade length really alters the feel and handling of the piece and I wanted something with the correct sense of handling. Craig readily agreed to the switch at no extra cost. I was given a delivery window of twelve weeks. It wound up being almost twice that, and I was considering a cancellation when I was notified of the swords completion. So in the end the company came in with the delivery just under the wire, but without much drama. The sword arrived safely and quite well packaged. In fact, it was literally a battle just getting it detached from the box. I was immediately surprised by the rapiers feel. With the forty two inch blade I was expecting a much more point forward feel, with a much greater sense of mass. I was pleasantly surprised at how lively the weapon feels. Not the feel of a modern fencing weapon mind you, but quite pleasant and far more responsive than the aforementioned Lombardy. I had no trouble running the Italian Three Ring Rapier through movements in the styles of Saviolo, Fabris, etc. However, the blades length is a bit of an impediment when used with the earlier Bolognese styles such as Marrozo. A side sword length blade is obviously preferred for those. All in all though, the Three Ring Rapiers handling was quite a nice surprise. Examination of the hilt shows a few recent changes. The quillon block now features more detail than the older version of this sword. The inner guard also now exhibits four arms instead of the original three. These are subtle bits of detail that enhance the swords already elegant appearance. The hilt, as is typical from A&A, comes well finished and assembled. There are very few casting pits and those that exist are quite small. The hilt is quite tight and solid, as is the grips wire binding. That last detail is very cleanly executed as well. 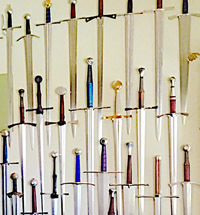 Overall I find the Italian Three Ring Rapier to be a very welcome addition to my collection. It features a classic hilt design and the blade change proved to be a very worthwhile decision. From the time I joined the Phoenix Society of Historical Swordsmanship a couple of years ago, members of the club who study the rapier have asked me whether or not a rapier could cut through a tatami mat. Recently I gave it a try and found that they cut surprisingly well. 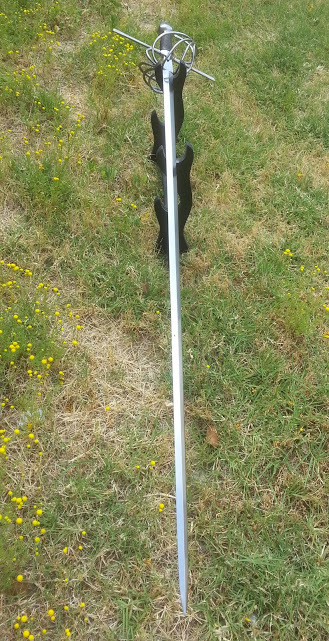 The first rapier that I cut a mat with was the Windlass Musketeer Rapier. It performed well, but I wanted a better quality rapier and one with a slightly more slender and thicker blade to test what this type of blade could do. The dimensions of the A&A Italian Three-Ring Rapier were correct for me (quillons at navel height) and I liked the look of the blade. 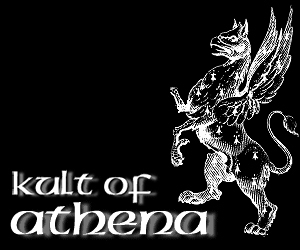 As luck would have it, Kult of Athena had one in stock so there was no wait time involved. 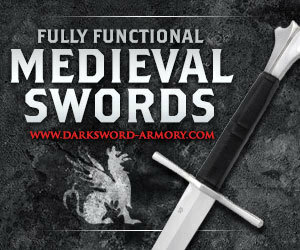 I decided to create a new review for this sword since the review by Patrick Kelly a few years ago was really for a different sword, since he swapped the stock blade for the longer wider blade from the A&A Two-Ring Rapier. "This slim weapon was quickly embraced by Italian fighters for its agility and speed. The art of combat with these stiff thrusting blades was quite deadly. The fully swept hilt protected the hand, a primary target, when fighting in the streets or a duel. The three side rings on the foreguard are complimented by a four bar inner guard and a faceted barrel-shaped pommel. The wire-bound grip allows a firm grip that any Italian swordman would consider essential. From 1600 to 1640 this type of rapier was, arguably, the most popular style made. There are many illustrations in art and surviving examples in museums and collections. 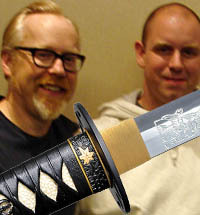 Norman identifies this hilt as Type 61 in his book, The Rapier and the Smallsword." 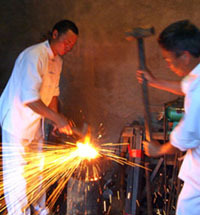 The description above reflects the common view that these were mainly thrusting weapons. 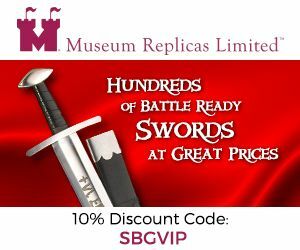 But the fact is that some Italian masters, Fabris for example, also embraced cutting with rapiers in certain situations and these swords were certainly up to the task. The blade has a fairly steep bevel from the central ridge to the edge. 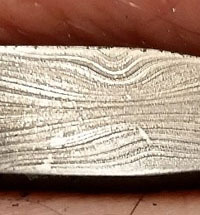 To get an idea of the steepness of this bevel, I measured the thickness and width at the midpoint of the blade. 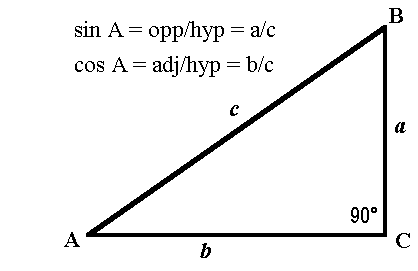 With a thickness of 5.5mm (a = 2.75) and a width of 16.6mm (b = 8.3), the resulting bevel angle (A) is 18.3 degrees. At the COP, the thickness is 5.23mm and the width is 15.4mm, resulting in a bevel angle of 18.7 degrees. That is just shy of the 20 degree bevel that I put on my finished cutting edge! The edge was not sharpened when I received it. It had a very thin blunt edge that needed to be sharpened prior to test cutting. All of the pictures in the review are of the blade after sharpening the true edge. With a lot of patience, I managed to carefully sharpen it without scratching up the main bevel. 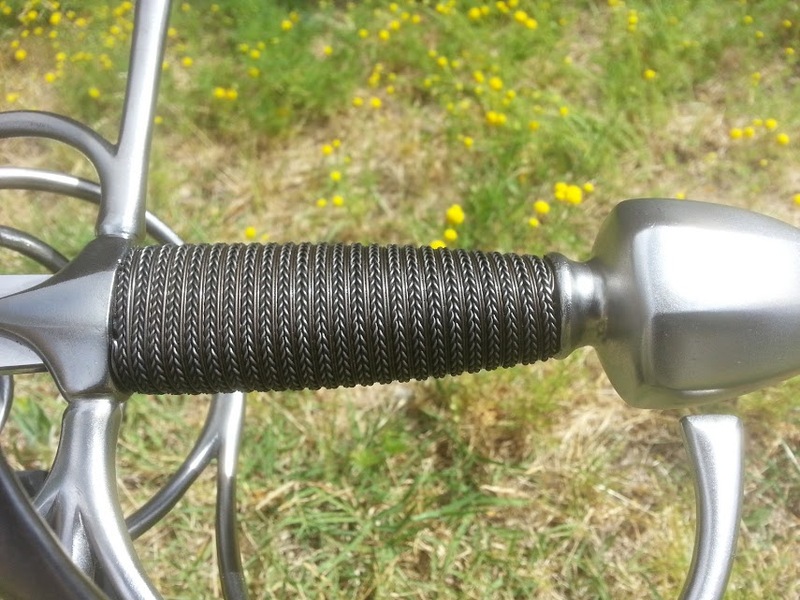 The grip has a very tight twisted wire wrap that is beautifully done. 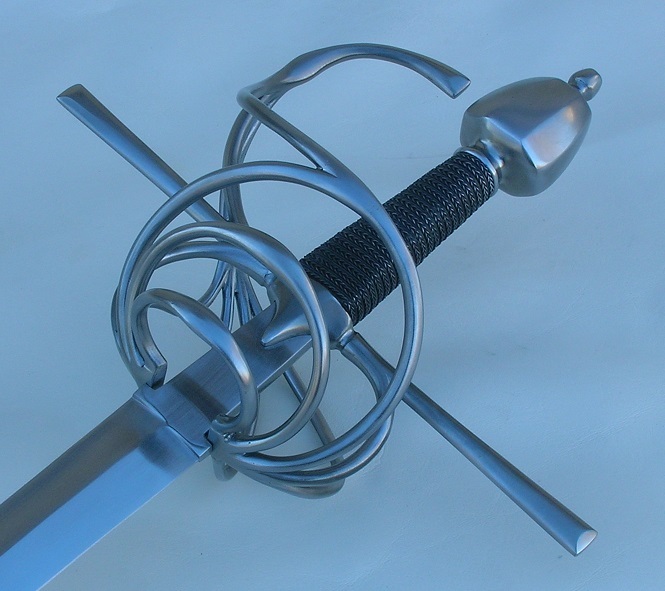 The three ring swept hilt guard on this rapier is well done. The pommel is securely peened. These were my first couple of cuts on a full tatami mat with the Italian Three-Ring Rapier. The blade is more narrow and a bit thicker than the rapier I cut mats with previously, the Windlass Musketeer Rapier. I'll admit that I was more than a bit worried that this blade might be too thick (bevel too steep) to cut a mat with. But as can be seen in the video, it cuts very well! 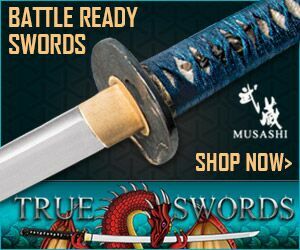 This is a fine, well made sword. 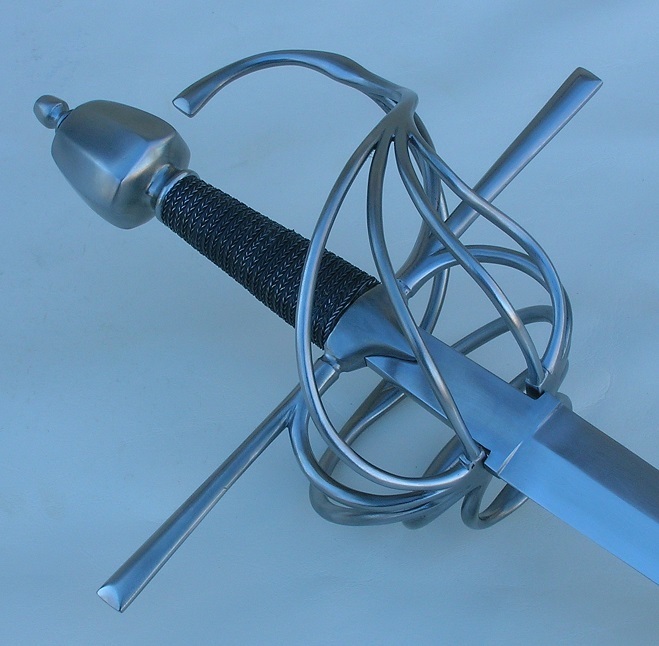 If you are looking for a high quality example of this type of rapier, I would recommend the Arms & Armor Italian Three-Ring Rapier without hesitation. 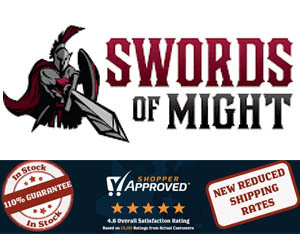 Unless you want to customize something like Patrick did, your best bet to pick up the Italian Three Ring Rapier is here at Kult of Athena for $1220 - because as noted in the review, they sometimes have Arms & Armory swords in stock, and even when they don't, tend to get them in quicker and cheaper than if you were to order direct from A&A.